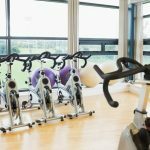 There is a wide range of home gyms available on the market so choosing the right one for your needs could be challenging. This article will help you in this regard as it compares two of the most popular home gyms i.e. Bowflex PR3000 and Bowflex Blaze. After reading this comparison, you will be able to make an educated decision regarding which one to buy depending on your needs and preferences. 4 Should I Buy the Bowflex PR3000 or Blaze? Home gyms are quite popular nowadays as they allow people to stay fit in the comfort of their homes. They are ideal for those who are looking to build muscles and lose weight because they target almost all parts of the body muscles. The Bowflex PR3000 is a relatively more condensed version of the machines put forth by Bowflex. The machine gets it compact shape from having no bench. The model allows the purchaser to perform a total of 50 different kinds of exercise. Along with the machine come a set of extra workout manual and an all access to the Bowflex’s Full Body Plan, this is their online workout addendum. The Blaze differs from the PR3000 with its mere addition of a bench that can be folded down or kept up during a workout session. The addition of the bench allows for an additional of 10 exercises to be performed on the machine bringing the total number of exercises up to 60. The exercises are also more inclusive as the bench allows for you to do exercise that involves one being on their back. The truth is that both the machines can provide an equally rewarding workout session as both of the products share a lot of similarities. 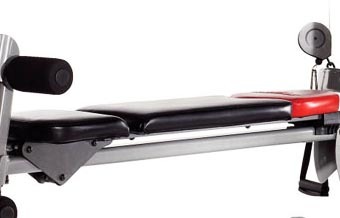 However, the Bowflex Blaze has a clear edge albeit a small one with the inclusion of the bench allowing exercise including supine exercises. So by a slight margin and more of a personal choice in the type of exercises you include in your workout Bowflex Blaze is the winner. PR3000 This version of the machine provides you with the ability to perform 50 types of exercises on it. It is also important to consider that in these 50 exercises you can get an adequate workout of the whole body and not just some concentrated areas. Blaze This version allows the purchaser to perform an addition ten exercises that include lying flat on the back and doing, known as supine movements. This is as it comes with a fold-down bench which takes the number of exercises to be performed on the Blaze up to 60 different workouts. The machine also has a rod that has a resistance to 120 pounds of weight. Hence machine also allows for one to work out their whole body whether they are just starting out or a workout fanatic. The two machines are almost equally as useful as they allow for a full body workout for regular and new gym fanatics. However, Bowflex Blaze wins due to its versatile design allowing for 10 extra exercises. PR3000 The PR3000 is compact as far as the features go with no fold-out bench but in the dimensions, it stands at a total height of 83 inches, width 76 inches and a length measuring 96 inches. Blaze Despite having an additional feature of a fold out bench the Bowflex Blaze has a more condensed structure standing at the same height as its counterpart at 83 inches, however, the width and the length are drastically less in comparison at 38 inches and 90 inches respectively. Space is a major concern especially for purchasers that are looking to set up gyms at home for convenience. 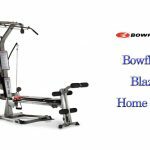 Though most of the variants put forward by Bowflex are consistent in their measurement with little variance the Blaze has a clear advantage with a significantly smaller width and a slightly reduced length. Thus tallying up the results the Bowflex Blaze is a winner as far as space occupation goes. PR3000 The PR3000 currently starts at a price tag of $ 689. However, different vendors list it at different prices. The difference in the price is usually dependent on the usage of the machine, availability and the vendor or the distributor that is providing the model. Blaze That boasts a price tag of $ 720. However similar factors also drive the price of this model as mentioned above with the Bowflex PR3000. 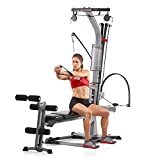 There are two ways to look at the comparison of the prices of the two models; one being that the Bowflex Blaze provides an opportunity to do 10 extra exercises as opposed to the PR3000 and it also comes with a bench that can be folded for ease of use. For some this variable and the option of flexibility justifies the mere $ 21 difference in the two models. However, it still remains that you can get an equally adequate workout on the Bowflex PR3000 for a relatively lesser price. 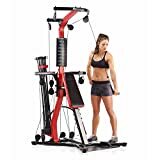 Bowflex models are also priced according to how long the model has been available in the market thus the prices fluctuate with time. Nonetheless, from a purely monetarily point of view, the Bowflex PR3000 wins this round allowing the customer to save at least $ 21 which can be higher depending on the vendor. PR3000 This model comes with a 1-year warranty for the frame, a 7-year warranty for the bars and a 2-month warranty for the parts. Blaze The Blaze model comes with a 1-year warranty for the frame, a 5-year warranty for the bars and a 2-month warranty for the parts. The warranty structure is more or less the same with a slight edge for the PR3000 as its bars hold a 2-year additional warranty as compare to the Blaze hence winning it by a margin. Should I Buy the Bowflex PR3000 or Blaze? You are looking for an affordable home gym that delivers full body workouts. You want to purchase a home gym that offers a wide variety of different workouts. 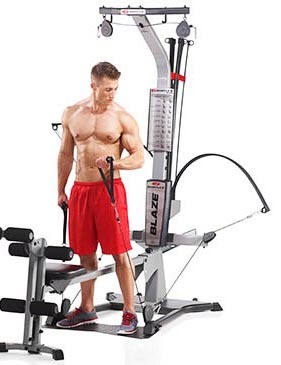 You are looking for a high-quality home gym with a sturdy build. You weigh less than 300 lbs. and want to buy a home gym which you can use for everyday workouts. You want to buy a home gym for working your shoulders or back. You will like the adjustable resistance that PR3000 offers. You want to purchase a reliable home gym and budget is not a concern. You are looking for a home gym that provides all the necessary tools to give you an outstanding workout. You like to customize your workouts. 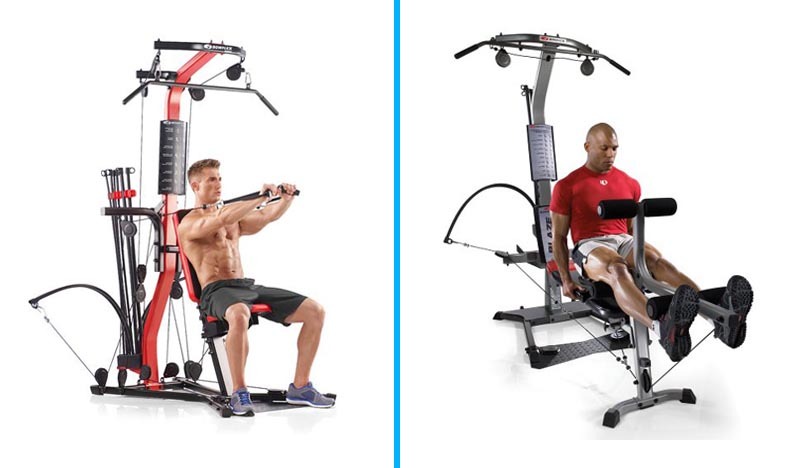 Bowflex Blaze has multiple cable positions that you will definitely like. You are looking for a complete gym in one small package. It is quite clear from the pros and cons of PR3000 and Blaze that both home gyms are very similar to one another with only a few differences. The key differences include the price and variety of exercises that you can perform on each of them. So, if you want to purchase an affordable home gym and are okay with relatively less variety of exercises, then Bowflex PR3000 is a recommended choice for you. On the other hand, go for Bowflex Blaze if you want a relatively higher variety of exercises and price is not a concern.